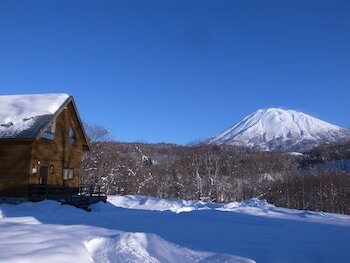 Located in Kutchan, Niseko Cottage Akagera is on a river, within a 10-minute drive of Lake Hangetsu Nature Park and Niseko Mountain Resort Grand Hirafu. The front desk is staffed during limited hours. Free self parking is available onsite. With a stay at Hotel Ramble Kyokomachi in Kyoto (Central Kyoto), you'll be within a 10-minute drive of Nijo Castle and Kyoto Imperial Palace. With a stay at Ohara no Sato in Kyoto (Ohara), you'll be 9.9 mi (15.9 km) from Kyoto Imperial Palace and 10.9 mi (17.6 km) from Kiyomizu Temple. Free self parking is available onsite.